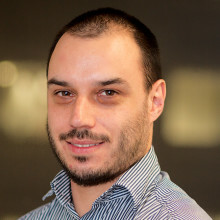 Derek Cutler is a Project Manager for the Global Health and Development Group at Imperial College London, responsible for overseeing delivery against the iDSI objectives and providing project support to all iDSI partners. He worked at the National Institute of Health and Care Excellence (NICE) from 2008 to 2016 where he was involved in a number of policy advice projects, include work with the Ministries of Health of China, India and Ghana; and was the Project Manager for the development of the Gates Foundation Reference Case. He holds an MSc in International Development from Birkbeck College, University of London.